Tyler Lee Spino is a 26-year-old young man who was diagnosed with cerebral palsy, bilateral schizencephaly and blepharospasm at 18 months of age. 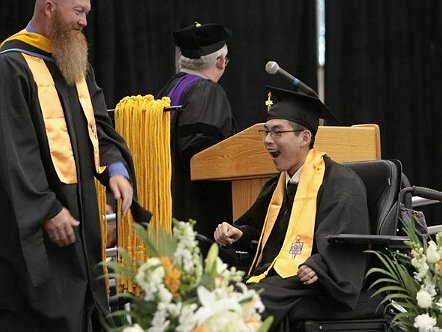 Against all odds, Tyler is now an honors college student, not allowing his disability to alter his path. With the use of a wheelchair and an iPad, Tyler is unstoppable – except for one major challenge – we need a new specialized van. Tyler is a model student and an inspiration to so many others who face daily struggles. He graduated in 2011 from Pennsville Memorial High School, having been a dedicated drummer in the marching band, and involved with student government. In 2013, Tyler received the Andrew J. Murphy award from the state of New Jersey, a high honor given to him for his tremendous spirit and determination. Tyler graduated from Salem Community College in 2013 with an Associate Degree with honors in Business Administration and a meme Phi Theta Keppa Honor Society. Tyler is now at Wilmington University and majoring in Accounting and minoring in Finance and Art. 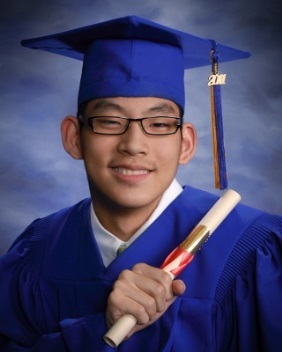 He will be graduating in May of 2016 with honors. He belongs to Omega Pi (an honor society for disabled individual with high GPA who also set an example of courage and leadership.) He was also inducted into the highest business honor society as one of a very few select students who meet the strict criteria in the business field. As Tyler’s graduation is just six months away, we are realizing that in order for him to obtain a job and contribute to society, he will need reliable transportation. Our current van is from 2002, has over 200,000 miles on it, and is literally falling apart. A new or used specially modified van would need to be outfitted with a motorized lift in order to accommodate Tyler’s wheelchair. Unfortunately, it will cost a minimum of $40,000 and we simply can’t afford that on our own. We look forward to working together to make this happen so Tyler can move forward with his lifelong goals of making memories and miracles and inspiring others to do the same. No gift is too small and any gift will be gratefully appreciated. We are so close to meeting our goal! We will be planning a January fundraiser so get your brushes ready for a great cause! You still have time to make year end tax deductible donations for this year! Any amount will be a blessing to get us closer to our goal! We have been very blessed with the support of all in this exciting journey! Keep checking back for our upcoming fun filled day ! Feel free to donate before hand if you still would like to us it as a tax deduction for this year! Thanks to everyone and we look forward to this journey together! Thank you to everyone for all your donations and assistance with Tyler’s fundraisers and donating through HelpHopeLive.org. This past year has been challenging but with all the kindness and generosity of friends and families, we have been able to purchase the vehicle , but we need to full fill the amount owed and for that reason, we will be continuing with fundraisers until we meet our 11,000 difference! We are currently setting up some exciting events to help Tyler meet his final number and pay the much need specialized van in full. We appreciate all the donations and attendance over the last 17 months and look forward to spending the last leg of our journey with you all! Keep checking back for upcoming events! Thanks as always. Without you , there would be no us in this meaningful journey! We invited everyone to feel free to donate as we start 2017 off. Feel free to choice Tyler’s campaign charity as your upcoming donation for the New Year! Without everyone assistance, we can’t do it alone and are grateful to each and everyone of you! Thank you to everyone for all your donations and assistance with Tyler’s fundraisers and donating through HelpHopeLive.org. This past year has been challenging but with all the kindness and generosity of friends and families, we are moving closer to his goal for a much needed handicapped accessible van ! Thanks to everone who donated, .partipated and was part of the 2nd Annual Hogs and Heroes Foundation Halloween Poker Run at AJs Tavern on 10/29/16. Lots of love and work went to making this event a success. Thanks to Mobility Works for donating the use of the van for the weekend to show what we are working so hard for and what Tyler’s goal is! Thank you everyone who donated and came to last nights fundraiser, Painting for a Purpose” ! We all had fun and hope to see everyone soon again! He is Tyler and his painting! Thank you to everyone who has donated to my campaign. We are planning many upcoming fundraisers in the next several months. We are looking forward to your continued love and support. Without your help, we cannot move forward towards our goal for a much needed handicapped accessible Van! Please keep checking back for updates! Our plan is to work hard with everyone’s help to achieve our goal so I can enter the work force, continue school and become more independent! We took a small break due to health issues but are happy to report we are returning and will be scheduling many fun events! Don’t miss out! If you can’t make them, feel free to donate right from the site. Just hit the yellow donate button. Every amount helps me move closer ! Thanks to everyone who attended and donated to our last fundraising event making it a success. Also, to those of you that have donated on line, it means the world to us to know we have such great support in helping us get closer to our goal of a handicapped accessible van, which is so needed sooner than later, at this time. We will be holding our next fundraiser April 23rd, Saturday, from 7-10 pm at AJs. Painting for a Purpose with Danielle. Please see our event page to sign up and enjoy a fun-filled night for a great cause. The last event sold out, so get your tickets early. They will be available tomorrow. 856-236-1333 text or call. Also, on Facebook under events. Update : Don’t miss out on our upcoming paint nite at AJ’s. Contact Tyler or myself at 856-236-1333. 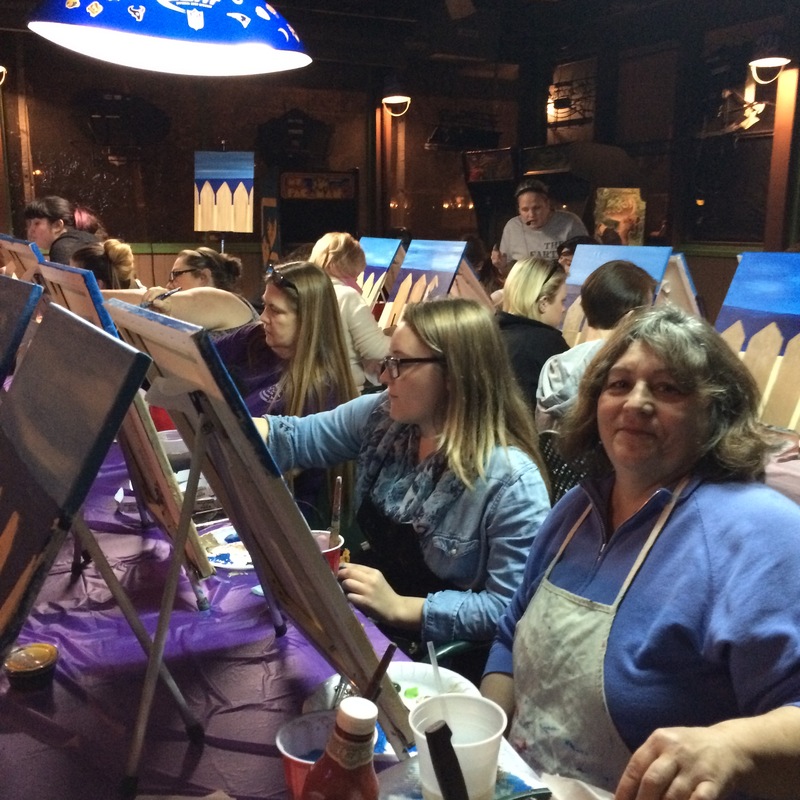 Enjoy a fun night of painting and more! AJS Great Crew will be having drink and food specials! No food or drinks can be brought in separate! Nice door prizes, painting, and more! Get your tickets before Sunday. There are a limited amount left! Thanks! We want to thank everyone who has supported Tyler through donations, which as a reminder, are tax deductible! Also, thanks for attending our fundraisers. They have had a wonderful turnout,! We are looking forward to 2016! We are planning upcoming fundraisers in honor of Tyler! Remember come out and support Tyler for a great cause. In addition to fundraising, he starts back to school tomorrow and has continued to volunteer to help others”. the new year also brings a new opportunity to donate to help him move closer to his goal of a handicapped accessible Van. It’s a new year for your donation to be tax deductible for a great cause. We can’t do it without you! Join us and let’s make this year successful. We are excited and hope you all are too!!!! Keep checking back for upcoming fundraisers. Please keep sharing and donating. Every penny counts. We have reached almost 2000.00 since October 27, 2015 all because of caring, loving individuals who believe in Tyler. It brings tears to our eyes, the outpour of love from our friends and family members, whether it be through donations, organizing a fundraiser, or sharing the page with your friends as well. PLEASE keep the campaign going. All donations are tax deductable. All donations to the Chinese auction we are planning are deductible. Feel free to get in touch with us at 856-236-1333 or FB inbox if you are interested in sharing our wonderful experience and donate for auction or to his fund on line. Again, we thanks everyone who has been kind enough to help Tyler, which is the first time he’s asked for assistance versus volunteering and giving. Hence, this is definitely a change for us and we have now experienced both sides. Please join us! Tyler You Rock! You make my day, every day that I get to work with you! Thank you from the bottom of our hearts for all of your donations thus far! Without the support of family and friends, our future goal would be difficult to meet. Let's keep the bar moving forward towards the goal! Paper check, electric check and credit card donations are all a way of contributing. Make sure you put in "In honor of Tyler Spino" in the memo line for him to get credit! Thanks to our friends, new and old, and family for helping us make this happen! Tybo we will do whatever we can to help. You are an awesome young man & we love you !! Hoping the goal is achieved for this amazing young man!! I just sent something through this page to help. He is an amazing you man and an inspiration to all of us. Wishing you so much success with this fundraiser for him. Best of luck with donations! We know you can do it! We thanks all of our friends, families, and any companies that would like to help this successful young man meet his goals to move forward in life. Thanks again. We love you Tyler! Keep moving forward!